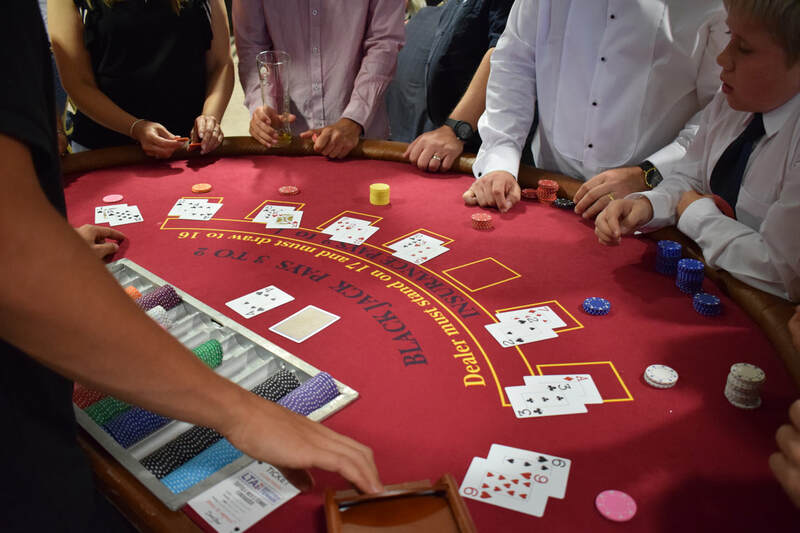 Making up the main focus of any casino event, our Roulette Tables always draw in a crowd. It's simplicity and large odds make this a favourite with beginners and the most tactical of players. 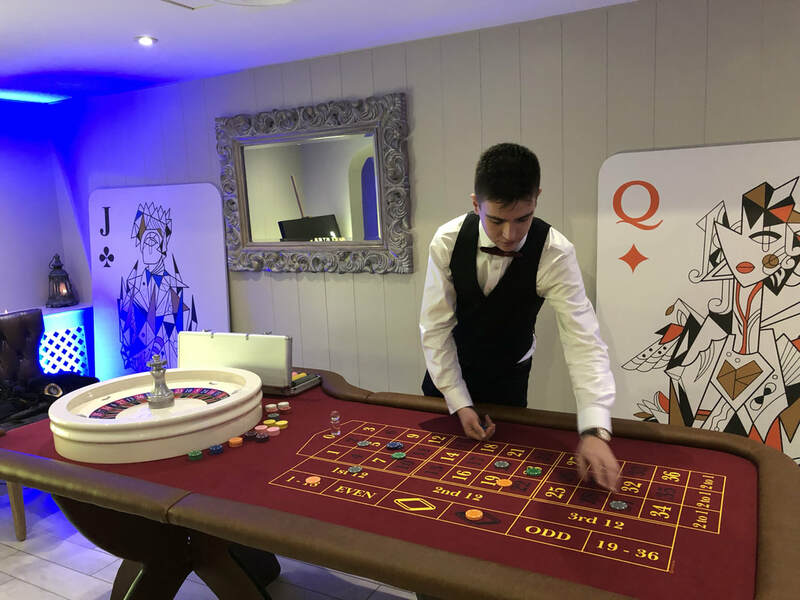 With roulette specific casino chips and trained croupiers enticing guests to the tables, complete your dream casino event with our roulette tables. To find out more and discover the rules of play for Roulette click the picture above. Blackjack is one of the most popular casino card games due to the mix of chance and skill. It is a game of luck, bravery and shrewdness in a one-on-one battle against the Dealer! Each player is dealt two cards and then offered the opportunity to take more cards. The aim is to get a higher total than the dealer without going over 21 (Bust)! 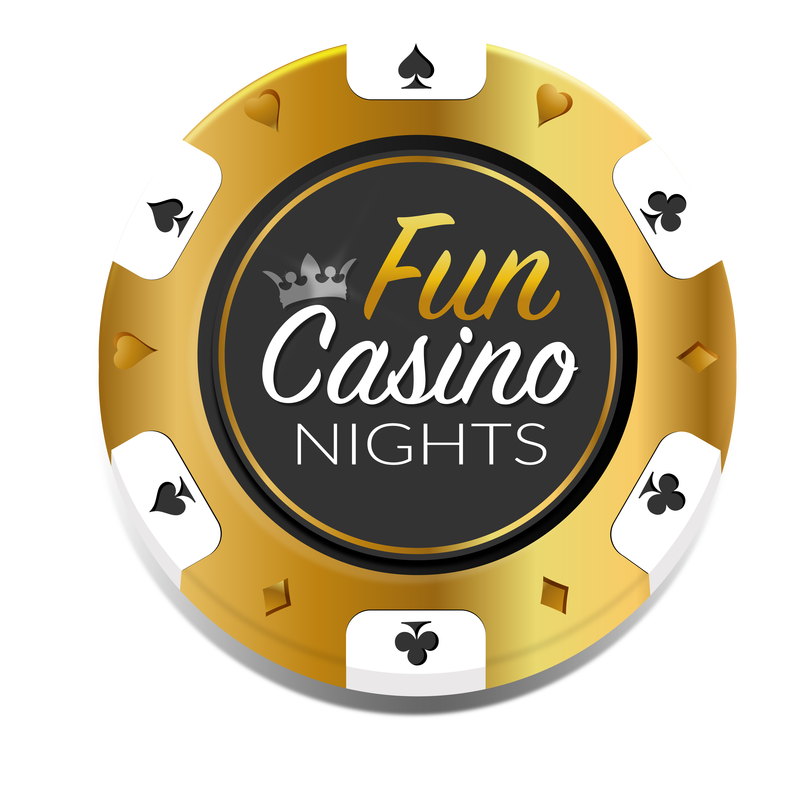 Fun Casino Nights is proud to offer this prestigious Casino Game for your Event! To find out more and discover the rules of play for Blackjack click the photo above. here. A great version of the classic poker game. Simplified to just three cards so new gamblers and experienced pokers players can play alongside each other. An easy game to pick up, but still with all the decisions of fold or play.. or even go for Pair Plus for bigger odds. To find out more and discover the rules of play for Three-Card Poker click the photo above. 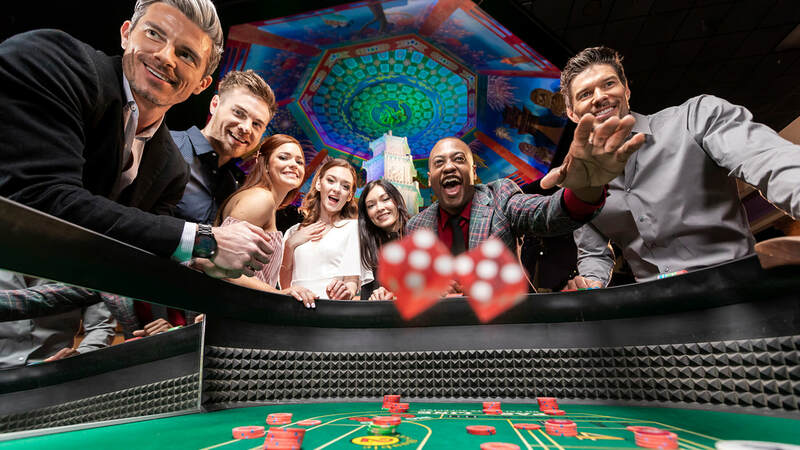 One of the main features to any Casino Event, Craps has people gathering around the table watching on in excitement as gamblers take it in turns to throw two dice down the table. With many betting combinations on offer, witness the chorus of cheers as lucky numbers roll in! 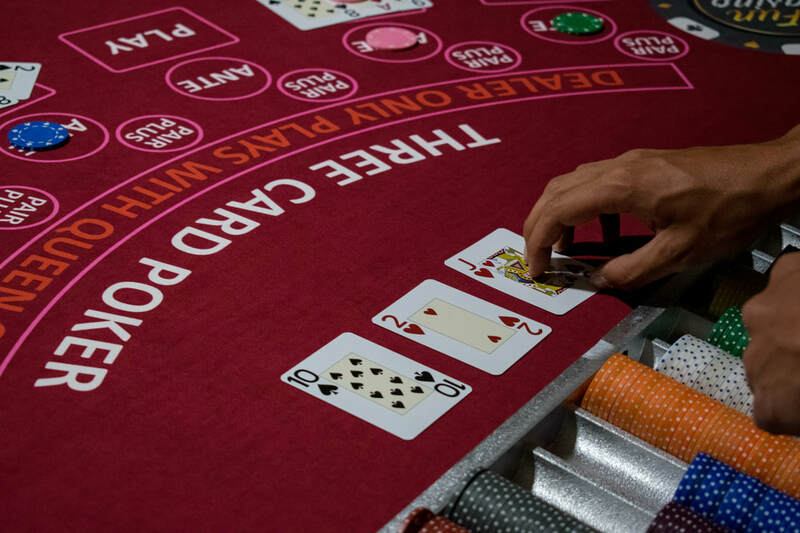 To find out more and discover the rules of play for Craps click the photo above.